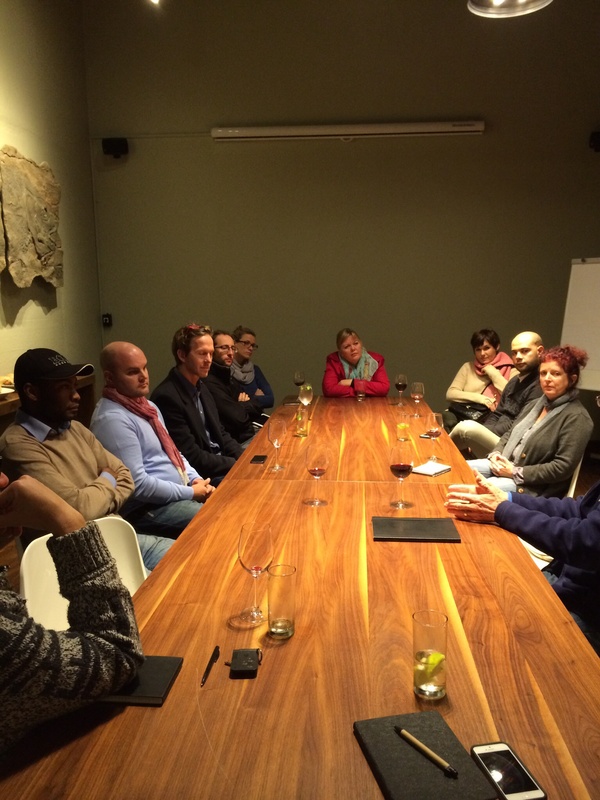 Longtable Project is a social enterprise driven by the need to support the Cape Town restaurant industry become more sustainable. As a responsive enterprise we are growing organically and in response to the marketplace. Last night one of our members, the Shoreline Cafe at the Two Oceans Aquarium hosted an event for our founder members, ‘hand-picked’ restaurants and suppliers who demonstrate a commitment to sustainability in the way they run their restaurants, kitchens or businesses. 1. There is a lot of talk around going green out there. But the reality is both challenging and complex. Many of the sustainability challenges are systemic with knock on impacts. Dan Barber’s The Third Plate is about looking at the whole picture, not just farm to table. And ask any of the Longtable Founder Members, the doing is hard. Physically moving tons of waste to compost, sacrificing profit, securing ethical suppliers and convincing customers to understand sustainable choices. Making choices requires credible and reliable information not just jargon and slogans. Our meet-up with Dr. Garrett and the MSC was all about that, chefs, suppliers and restaurateurs getting their heads around choosing species, fisheries, and understanding the impacts of our actions on the oceans. 2. Each member pledges to host an event within their year of membership. Shoreline cafe and Aquarium director Dr Garrett generously shared their beautiful space, food & drink, and most importantly valuable insights for the industry. Sustainability and generosity are intertwined, with sustainability being about a better and more equitable world now and for the next generation. To get there might be more about giving than looking to maximise our returns.Counterintuitive but the right way forward. 3. Many of the relationships are based on trust in this space. When we read on the menu where a product was sourced we are dependent on the chef and supplier as evidence. Enterprises like the MSC certify fisheries via a third party but also deal with “fisheries in development”. Supporting intent requires trust. Conversely restaurants and suppliers who break that trust in an economy based on reputation may struggle to gain that trust back. Longtable Project is a voluntary association where members are trusted to deliver on their claims. 4. Sponsorship is a popular way of amplifying ones brand and generating funds. By choosing to stay independent Longtable Project doesn’t have the resources to create hype. However no financial ties bring independence and flexibility for now. There are many agendas in the sustainability field and Longtable can focus on the best possible way to support different players in the industry without interference. Homebrew but not for sale. Under the radar but working hard to bring change.